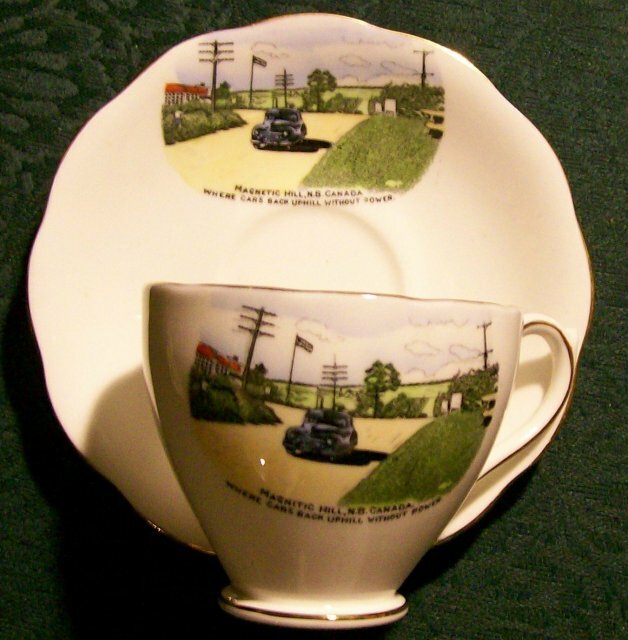 Bone china cup & saucer, souvenir of Magnetic Hill, NB, Canada. 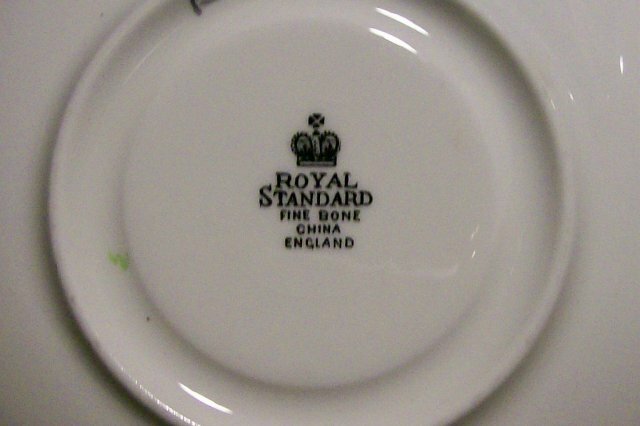 Made by Royal Standard, England, late 40's to early 50's. 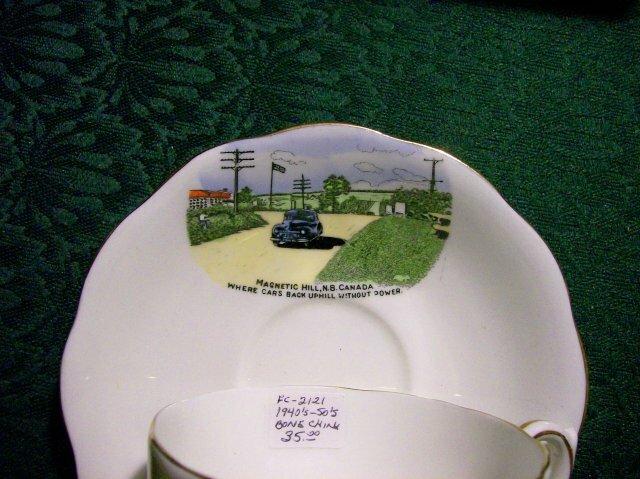 Same graphics on cup and saucer, showing car supposedly rolling uphill. We have a similar phenomena here in Lake Wales, Florida called "Spook Hill". Nice souvenir in good condition with no chips or cracks. Inglenook Antiques...Established 1989. Items Similar To "Magnetic Hill NB Canada Bone China Cup & Saucer Souvenir Ca. 1950"